I thought it would be a fun twist to have Neil write today’s post. I’m assuming you all will read it because I get the impression that he is more popular than I am on Instagram, so I wanted it to be a post that he had authority on and would be helpful to you. As you know, my regular routine consists of strength training, HIIT, and CrossFit workouts. The gym that I have been attending for over two years now is not * technically * a CrossFit affiliate (that costs some $3000 for the ability to advertise as such), but the owner is CF certified and has over 10 years of experience coaching that as well as strength and endurance. So basically I’m calling it CrossFit because we do a lot of the same movements and formats. 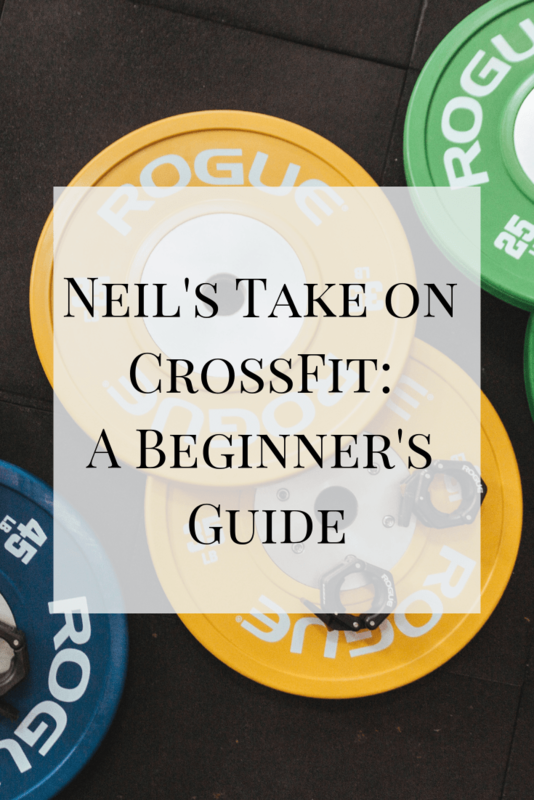 When the gym that Neil was attending abruptly closed at the end of 2018, he wasn’t sure what he wanted to do for a workout. The previous classes were short and convenient from our home. I suggested he try coming with me and since it required little effort on his part aside from waking up early and sitting in the passenger seat, he finally agreed. He had no previous experience, which is why I wanted him to answer these questions. It’s been a little over a month since he started going and he has continued going consistently. Here’s his feedback for anyone who may be considering going or be intimidated because of some of the information out there. If you have any other questions, leave them in the comments and I will get his feedback for you! 1. What were your impressions before you started? The workout looked challenging. I wasn’t sure if it would be accessible to me. I met (in-shape) members in passing. Their conversations orbited around fellow participants, workout schedules, and eating habits. They threw around terms like “metcon” and “macros” that made me wonder if I would always outside of whatever was happening. There is a sliding scale. Flexibility makes a big difference. There were modifications I could make to perform in workouts that seemed impossible. I thought my stature and fitness level would put me at a severe disadvantage, but the support has been phenomenal. I feel like a part of the group even when I do (frequently) place last or make progress at my own pace. 3. Were you intimidated to start? Definitely. Not only did it look difficult, but also the very athletic people who went regularly would SAY it was difficult. 4. What was your fitness routine before? Mostly, I was a top performer at working in a seated position, eating, and napping. A sedentary triathlete. Years ago, I would lift a few times a week and do basic machine-driven cardio. More recently, I did strength exercise 1x/week and conditioning 2x/week at a local boutique gym. 5. What is your advice for someone starting out with this type of workout? Start with lighter weights and get the movements right. Expect to make progress. Go frequently, your body gets used to it fast! Sign up with a partner or someone at your fitness level. For me the ideal partner fitness level was being in nearly the third trimester of her pregnancy. 6. What do you like about the workouts? I enjoy the variety. Doing the same thing gets repetitive or boring for me. I have found it sometimes relaxing to do things like swim or other cardio for a prolonged period of time, but I have a hard time doing that consistently. Sometimes it’s attention span and sometimes it’s because I get asymmetrically sore or injured from doing the same thing over and over. 7. How did you approach moves that you had never done before? I had to go really slowly, repeat a lot, and ask for help. The coach and other attendees were happy to provide guidance. I STILL have issues with some movements like cleans or kipping pull ups but I definitely get better every time I practice. I will say that having these areas to improve excites me to come back and try again. More to work on next week! There is a much deeper sense of peer-to-peer interaction here than I have experienced in large gyms and even other boutique private or group fitness classes. Coaches function less like commanders and more like guides. The format is a good mix of being in my own private zone and having other people nearby to help, ensure safety, and provide encouragement. People get to know each other and their workout styles well. So, people pair up with compatible participants. That’s not unusual. The unusual part is that people don’t fear the newbies. They don’t try to sneak off into pairs and leave someone stranded. They make sure everyone feels welcome, is challenged at their fitness level, and has a great workout. 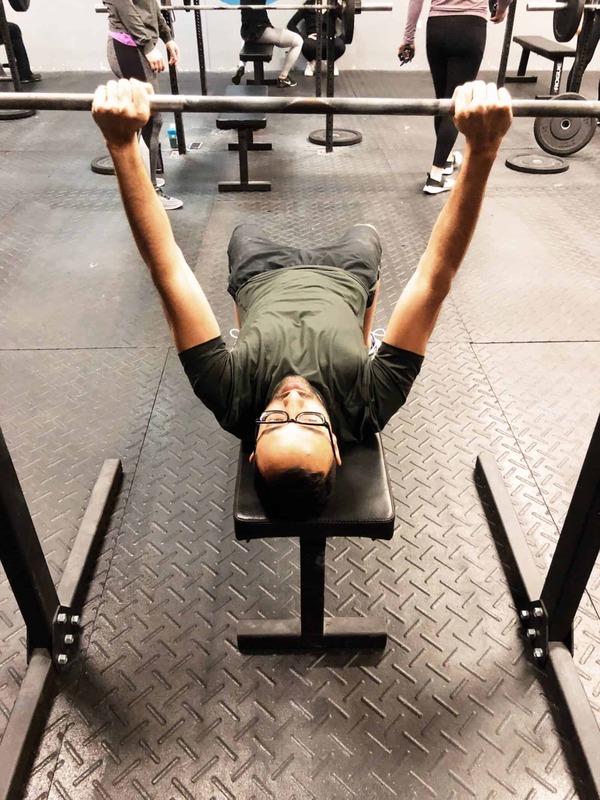 Having been to a few different boutique gyms and group workouts, I can definitely say the community is unique in its friendliness and welcoming attitudes. Competition is positive and friendly. People who pair together each week don’t work out in sullen silences. Not everyone hangs out with everyone else or becomes best friends (some do!) but people clearly are invested in each other. If someone doesn’t show up, someone notices. That last piece makes accountability really fun. It’s not the social pressure of an in-group vs out-group dynamic. It’s a chance to find a few people that see you and want to see you again. Putting it all together If you’re like me and have inconsistent history, the challenge, flexibility, community, and accountability can be the difference between regularly doing something that helps your body and deciding to turn over and go back to sleep. No – it’s totally scalable!! Neil’s the best. I hope he gets another pedialyte package and does an unboxing! Great write-up, Neil! It’s been great having both of you now at BTY and you’ve already progressed so much in a month! Great post! Love having both of you here now! Great to see how much Neil has already progressed since starting! Also, we get to spend more time with Neil! Nice! I like the team approach to writing. It was excellent to hear both of your voices.